Creating collage's is something I love to do, it's the perfect way to organise an array of clothes into an outfit. I find this particularly useful during large events such as Fashion Week, a PR event or just when I want to splurge on an expensive item. ( I like to plan out how I'll get the most wear. Sad, yet practical!) I made the above collage, which they call a "StyleBook" on the Fashiola. If you didn't know already Fashiola is a Fashion Finder website which make things easier by organizing all the online clothing with product details from the UK's biggest online retailers which you can then search by colour, price range etc. They take all the hard work out of online shopping with a one dimension size chart which only show clothes that are available that day. (Because how annoying is it to find the last pair of Gucci Mary Jane's in your size on Net A Porter to realise they're out of stock!?) One of the best parts about this fashion finder app is that all current discount codes appear at the top of each page, per retailer. I can feel a purchase coming on.. The perfect tool to shop online, I say! 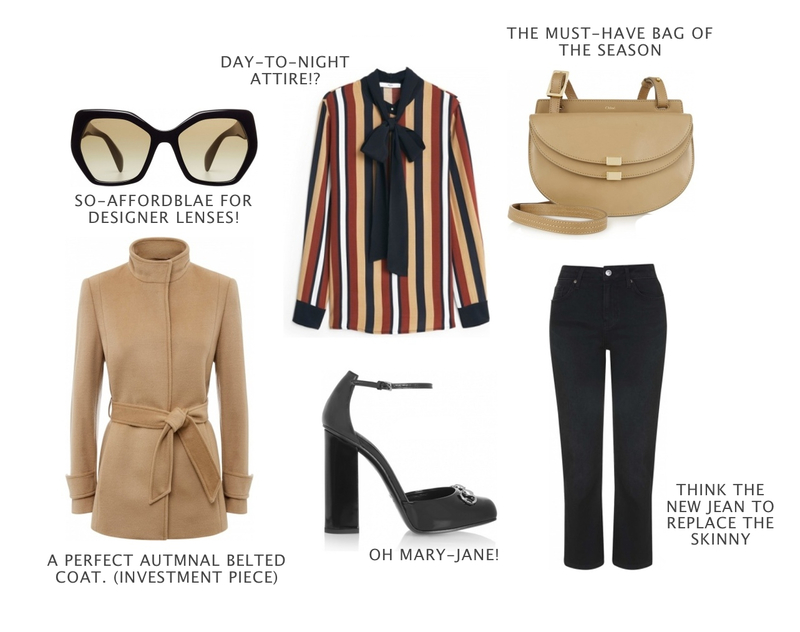 Coat, Shirt, Jeans, Bag, Sunglasses and Heels.